The Breeders’ Stakes is the third and final leg in the Canadian Triple Crown for three-year-old Thoroughbreds. It generally takes place in August after the Queen’s Plate (June) and Prince of Wales Stakes (July) have been held. Like the Belmont Stakes, which is the final leg of the US Triple Crown, the Breeders’ Stakes is 1.5 miles long (12 furlongs) so it is also the test of a champion. The race is held on a turf track at the Woodbine Racetrack, in Toronto, Canada. Like the Prince of Wales Stakes, the Breeders’ Stakes has a purse of $500,000. Our recommended racebook for betting on this and every Canadian horse race is SportsInteraction.com. Sports Interaction is dedicated to building their Canadian market share and this commitment includes providing easier deposit methods for Canadians, more betting options on Canadian horse races and sporting events and a solid 100% matching bonus up to $125 for every new sign up that we here at Bet On Horse Races refers. Sports Interaction is also a very well respected and trusted online sportsbook that has a very easy racebook to understand and navigate. Sports Interaction left the United States market in order to continue to provide an excellent product to their Canadian clients and other clients from around the world. 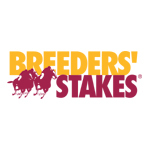 If you reside in the United States then I suggest signing up at Bovada.lv to bet on the Breeders’ Stakes race. Check out our complete Sports Interaction racebook review for more information. The first thing you will need to do is open a Sports Interaction account. Click here to visit SportsInteraction.com and fill out a short registration form. After completing registration you should log into you account and click on the ‘deposit’ button in the top right corner of the screen. Select one of the many deposit methods available to fund your account. Remember that Sports Interaction offers a 100% matching bonus up to $125 that is immediately added to your account and available for use so I suggest taking full advantage of the bonus with a $125 or higher initial deposit. Now that you have money online it’s time to bet on this years Breeders’ Stakes race. Click on the ‘Horses’ tab at the Sports Interaction website to head over to the racebook. From there click on ‘Woodbine’ under the Thoroughbred heading to bring up all of the races available at Woodbine Racetrack for the day. You can then choose to place straight or exotic wagers on the race by selecting which of the buttons you are interested in and placing your wagers. The race was inaugurated in 1889 and has been held at the Woodbine Racetrack every year except one since the inauguration. In 1994 the Breeders’ Stakes race moved to the Fort Erie Race Track due to construction on the Woodbine Turf track. The last Triple Crown winner was ‘Wando’ who won in 2003. Since then no horse has even come into the Breeders’ Stakes race having won both the Queen’s Plate and the Prince of Wales Stakes. To learn more about the race check out the Wikipedia page.